The ESMT luggage tag makes it easy to identify your luggage at first sight. The durable tags are made of aluminum to withstand the rigor of travelling. Each tag comes with a wire loop and screw connector for conveniently connecting the luggage with the tag. 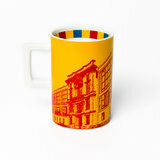 The loop also ensures that the tag will not rip off. 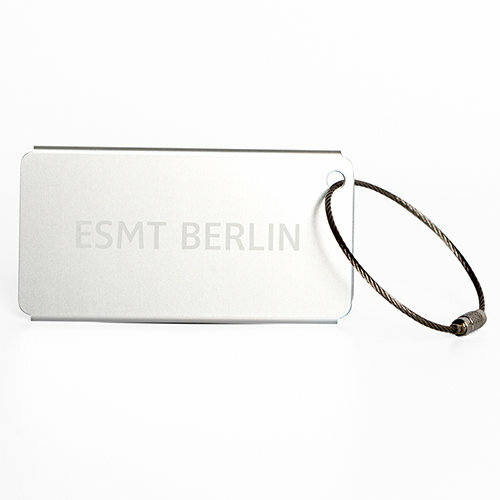 To protect sensitive data, all luggage tags include a complete privacy backing, featuring the engraved ESMT Berlin lettering. The luggage identification card can easily be filled out by using a standard pen.